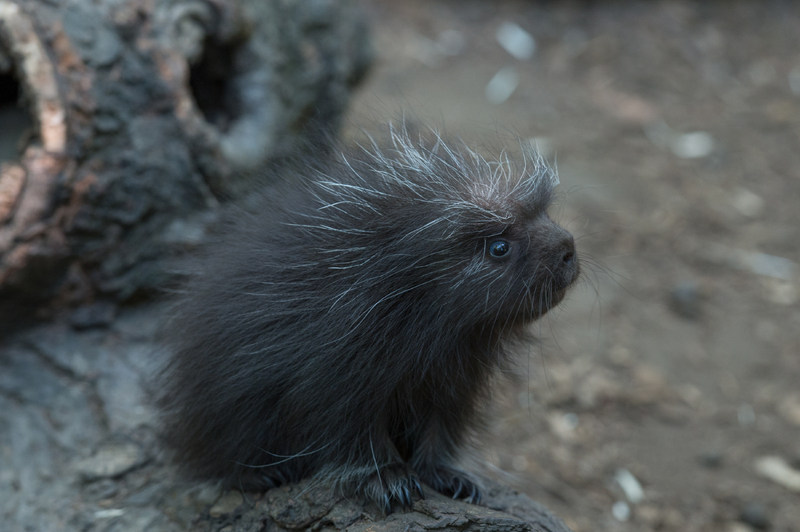 A baby North American porcupine was born at WCS’s (Wildlife Conservation Society) Bronx Zoo and is on exhibit with its family in the newly renovated Children’s Zoo. 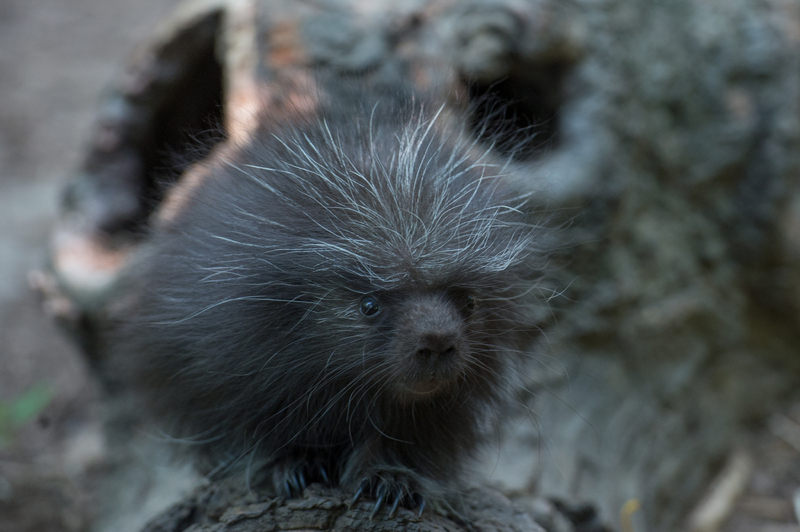 The young male porcupine was born on July 28 to mother, Alice, and father, Patrick. This is the pair’s third offspring. The porcupine’s most recognizable physical characteristic is its spiky quills. They can have as many as 30,000 quills covering their bodies and use them as a defense against predators. Despite popular belief, porcupines cannot shoot their quills. The quills of the North American porcupine have a tiny barb on the tip that, when hooked in flesh, pull the quill from the porcupine’s skin and painfully imbed it in a predator’s face, paws or body. At birth, the quills are very soft. They begin to harden a few hours after birth and continue to harden and grow as the baby matures. Young porcupines begin eating solid food as early as three weeks old, but will continue to nurse for about three months. For more information or to speak with a WCS expert, contact Max Pulsinelli at 718-220-5182 or mpulsinelli@wcs.org.